* The lace shaft make these boots look elegant and feminine. Dress up your feet and legs with these cute boots. You deserve this. 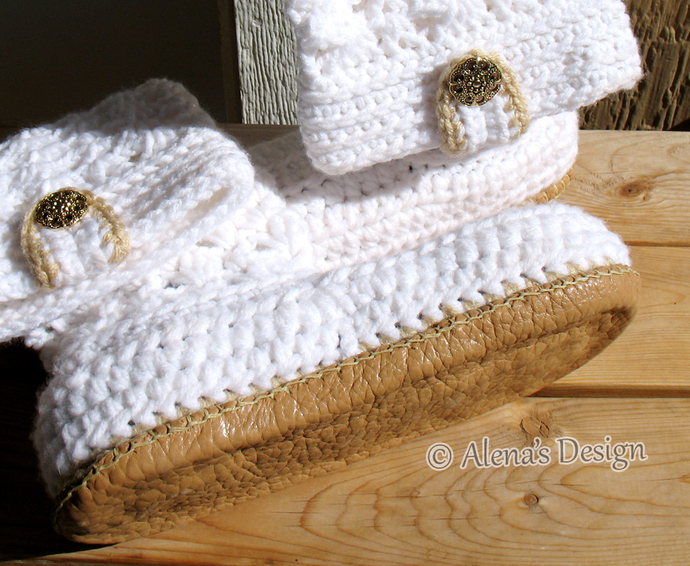 The Boots are made with two soles, yarn sole and jute sole. It makes the bottom of your boots more durable and flexible. These boots are primarily for indoor use, but if you occasionally venture outside, this is not a problem. You will need jute cord or jute twine which can be purchased at Walmart, other craft stores, and online. The construction of these boots also allow you to replace the sole and toe area. Round Cord Elastic 5 yd (4.5 m). Two buttons, about 7/8" (22 mm). All my patterns are written in concise and clear American crochet terms. The patterns include required skill levels, sizes, materials, gauges, finished measurements, stitch abbreviations, stitch counts and pictures. 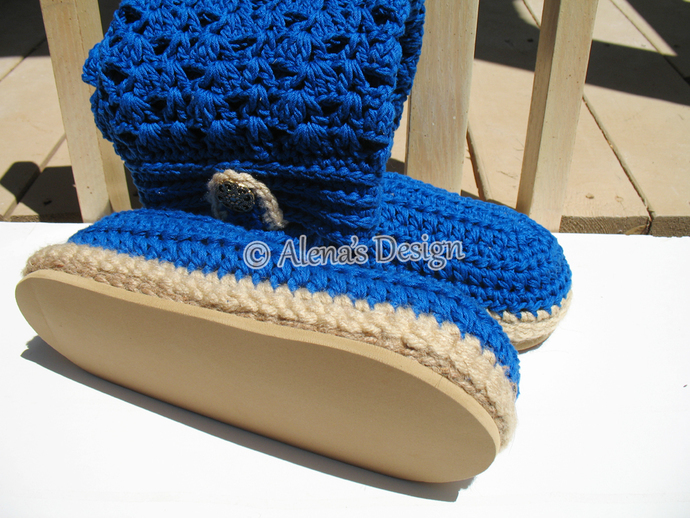 Also, the pattern includes Photo Tutorial to supplement the written instructions, and instructions on how to attach a leather or rubber soles.